The hidden pop-cultural references and secret message behind Matt’s Pixies t-shirt in the Jason Reitman’s movie drama Young Adult (2011). 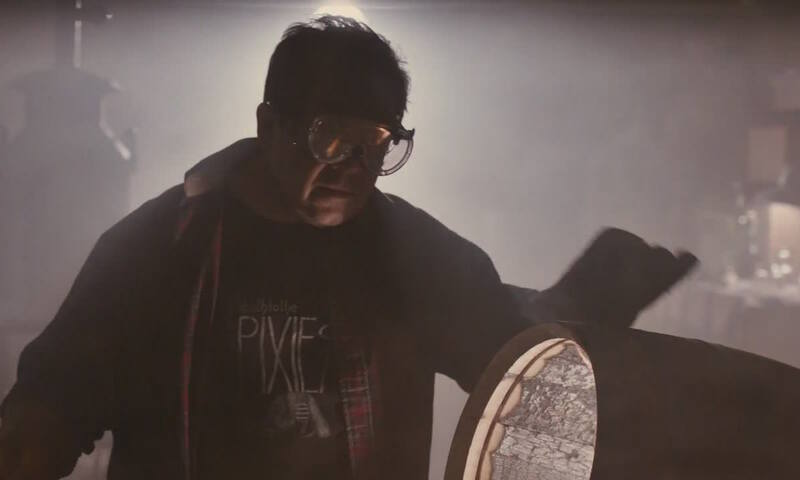 Matt (Patton Oswalt) wears the remarkable black band t-shirt under his plaid shirt when Mavis spontaneously visits her old schoolmate in his garage where he has a whiskey distillery. DVD Screencap, ©2011 Paramount Pictures and Mercury Productions, LLC. To understand the full relevance of the Pixies album t-shirt for Matt’s character and situation, it’s helpful to take a closer look on the legendary band and its charismatic leader. Matt’s vintage tee actually promotes the best-of Pixies compilation album Death to the Pixies from 1997. The US alternative band Pixies and especially their band leader, Frank Black, AKA Black Francis or Charles Michael Kittridge Thompson IV, are loved by many fans for their intellectual analysis of society and prophetic lyrics. Beside the fact that Matt likes the alternative indie rock band, looks like Frank Black’s little brother and also likes to observe and analyze the people carefully in his little home town, the more important hidden message here is in the term ‘pixie’. Because a pixie is a mythical creature of folklore in Britain and in other countries it is also known as a kobold or goblin . ‘Pixies’ are actually short, childlike and cloddy, which fits also to Matt’s physique. ‘Pixies’ are also often described as ill-clothed with a weakness for finery and – according to the old mythology – they like to jovially banter with people in the woods. Now compare this description of a pixie with Matt, who also likes to cynically tease the people around him with his prophetic analysis and snappish remarks, when he leaves his personal, intimate universe at home. Combined with his short stature, Matt embraces in fact all the characteristics of a pixie in a modern way. 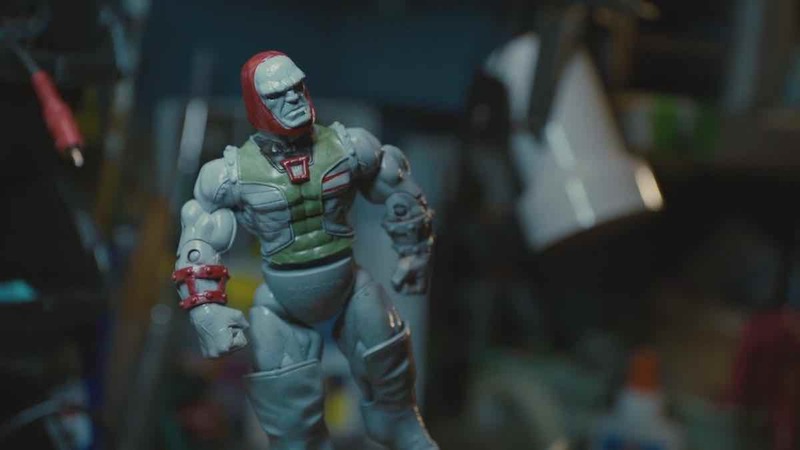 And additionally, Matt’s weird, customized fantasy figurines, which can be prominently spotted when he takes Mavis from the garage to his attic, inspired really Patton Oswalt’s role as Matt and could be labeled as a kind of goblins, too. 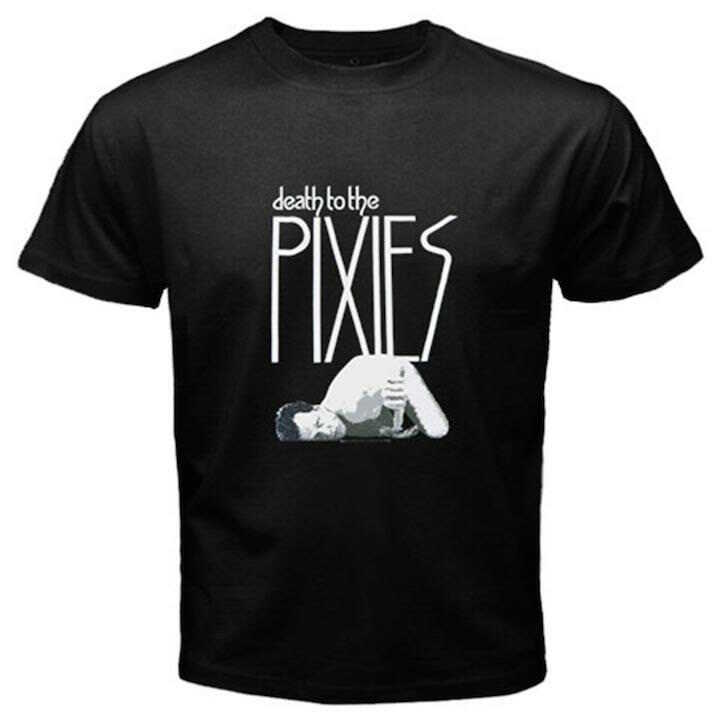 Another interesting fact is that the Pixies t-shirt logo says, Death to the Pixies, which is strange – in the assumed theory, that Matt is a human pixie – because: why should Matt actually kill himself? Therefore, the album title Death to the Pixies on Matt’s t-shirt is a subtle but powerful prophetic hint that Matt is going to lose his childishness and virginity. 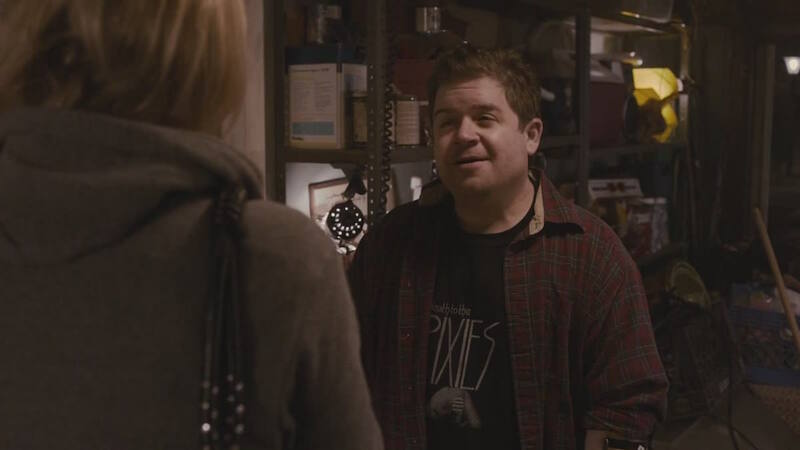 Of course, this is just an bold assumption and it’s not clear if movie director, Jason Reitman, screenwriter, Diablo Cody, or set decorator, Carrie Stewart, had all these subtle symbolic messages in mind when choosing this Pixies t-shirt for Patton Oswalt’s role. However, it’s an interesting and reasonable theory. and we will answer your requests as soon as possible. Thanks, because we love to help! Or Do You Have any Feedback for Us? where we will review and answer them as soon as possible. Many thanks in advance for your feedback, because it helps us to optimize our service for you!